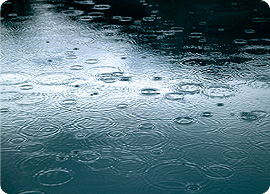 How can we model the flow of rainwater in real life? When is rain dangerous? Where do floods come from? How can we reduce the damage that flooding causes? Over the last decade some parts of Europe have experienced increased patterns of very heavy rainfall leading to floods whilst other regions have experienced decreased rainfall resulting in droughts. These materials aim to build the scientific and mathematical 'story' of flooding through theoretical and practical investigation and through the use of an applet or research environment. The mathematical and scientific ideas of flow and the physical parameters that affect the rate and speed of flow will be brought together through a case study of flooding in a river valley.